Save space without sacrificing quality or power. Amazingly compact and elegant design with a much smaller footprint then traditional micro/desktop systems. 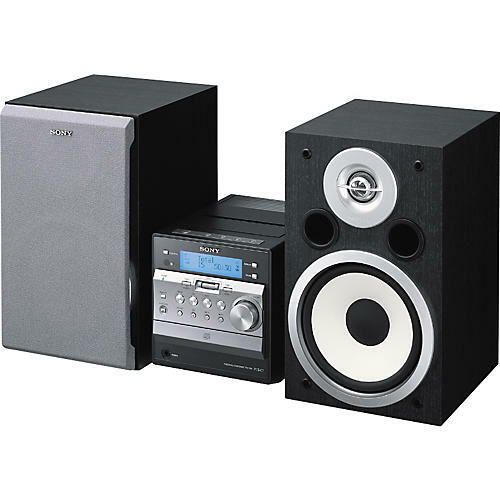 It includes 120W power, dual 2-way bass reflex speakers, CD player with MP3/ATRAC playback, cassette deck, and AM/FM tuner as well as a 2.5mm jack for plugging in a PC or other digital music device. Order now and get the classiest, smallest, most versatile mini system out there.